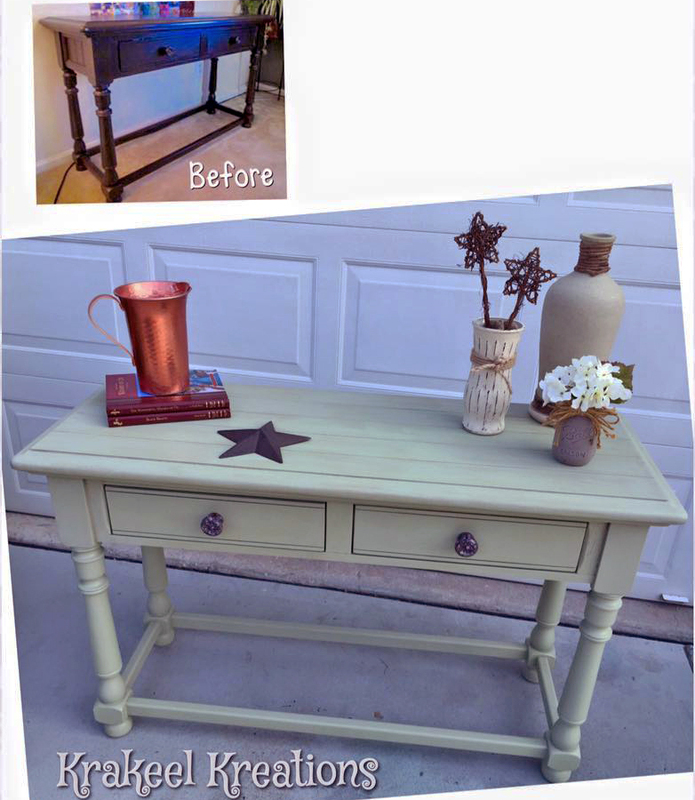 This table was transformed by Krakeel Kreations_ with GF Bayberry Green Milk Paint (discontinued color) and Van Dyke Brown Glaze Effects. For a similar look use GF's Basil Milk Paint. Looks great!